Author Kitty Kelley is used to raising eyebrows, and she did it again on Friday night at a party celebrating publication of her controversial new book, "Oprah: A Biography." At the party, held in Marina and Daniel Ein’s Georgetown home, she declared Oprah herself had been the book’s best source. How was this possible, given that Oprah refused to give her an interview? Some members of Oprah’s family and her close acquaintances hotly dispute the talk show queen’s version of her life in these interviews. Among the book’s claims: Vernon Winfrey, a kind but stern man, raised her as his child, even though he realized he wasn’t her father. Katherine Esters, a cousin Oprah refers to as “Aunt Katherine,” told Kelley the identity of Oprah’s biological father, on the condition she keep it secret. 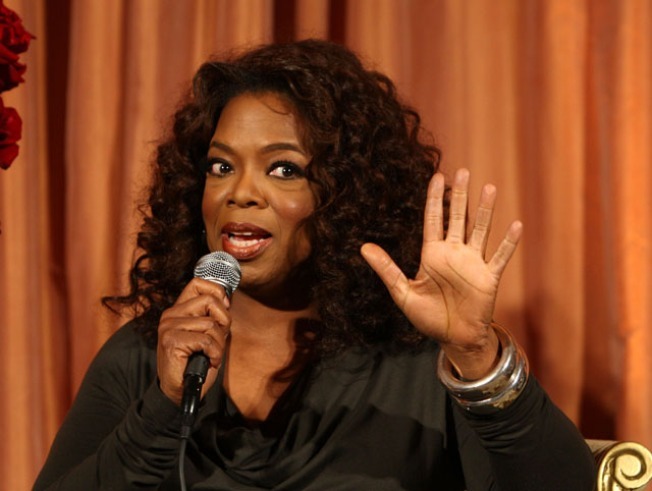 Esters also claimed Oprah didn't grow up as poor as she claims and said she doubted if Oprah was sexually abused. Kelley describes Oprah’s transition from “trash TV” to inspirational topics and credits her with popularizing a love of reading through her book club. At the book party on Friday, she shared her admiration for Oprah, saying that through talent and determination she has become one of America’s best-loved icons, world-renowned, a friend of global celebrities and a billionaire twice over. “She came into our homes and changed our lives,” said Kelley.